Many clients call us because they have had skin problems which are exaggerated or caused by drinking and washing or showering in Chlorinated water. We believe that chlorine is a concern and a contributor to various health issues. 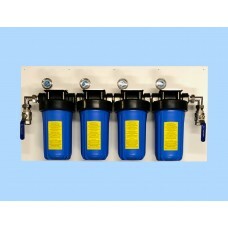 The quality of water can be improved greatly through filtration on the mains supply into your house.Eliminating chlorine from the water used in your house reduces your reliance on and the cost incurred to fit and maintain carbon filters under your sink, in the refrigerator and coffee machine. • Jumbo 10” and 20” cartridges options are available based on flow requirements. • Cartridges will last 12 months before they are saturated and require replacement. We are often asked about fluoride in the water. 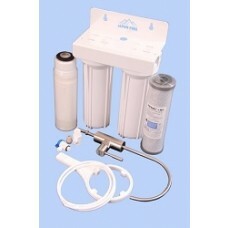 Fluoride can only be removed by the use of very dense filtration .5 micron or less. If this filter was used on the mains supply into your house you would not be able to have a shower. So if you require the removal of fluoride then you would need an addition to the whole house system as outlined above,you would need an under bench filter for drinking water. Obviously this under bench system has to be one that has the correct fluoride reduction filters installed.